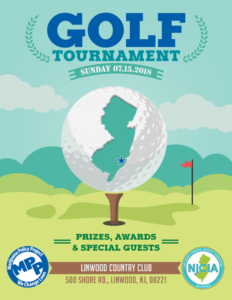 In partnership with the New Jersey Cannabis Industry Association (NJCIA), the Marijuana Policy Project is bringing supporters together for a friendly golf competition at the Linwood Country Club in New Jersey as we ramp up legalization efforts statewide. Please join us just across the bay from Atlantic City as we bring policymakers, politicians, cannabis industry experts, and friends together for a round of golf followed by a cocktail reception on Sunday, July 15. We are grateful to Gov. Phil Murphy for his commitment to ending marijuana prohibition in New Jersey. As a trusted leader in marijuana policy reform, MPP has worked on the front lines of changing marijuana policies and laws, both federal and state, for 23 years. Our event partner, the NJCIA, is the state’s largest nonprofit trade organization dedicated to advancing the legalization of cannabis through sensible policies that optimize the responsible growth and development of New Jersey’s cannabis industry. For sponsorship opportunities or for more information, please contact Dara Servis of the NJCIA at dservis@newjerseycia.org. Registration fee for golfers includes food and beverages during the day and also includes the cocktail reception and barbecue at the al fresco bar and dining patio overlooking the course. Menus are created by the same legendary team behind the acclaimed Dock’s Oyster House, Knife and Fork Inn, and Harry’s Oyster Bar in Atlantic City. For online booking, use this link. This event will sell out, so register today!